Hospitality industry is a versatile field encompassing accommodation and entertainment services, accounting, food and beverage, event management and above all, guest satisfaction. 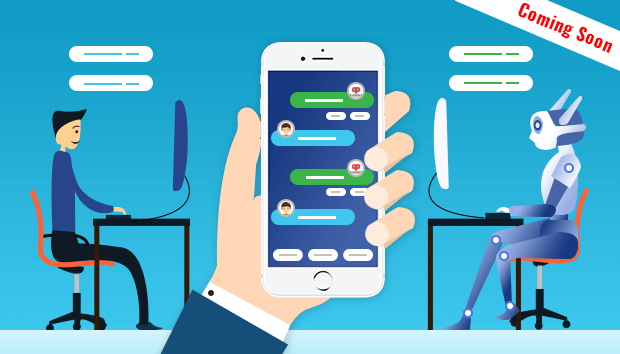 With that, there comes an imperative need for this industry to walk hand-in-hand with latest updates of the market, and seek for all-inclusive technology solutions which can help them in governing their hotels and restaurants effectively. Wider the utility, greater their exposure towards taxation and other compulsions from the government authorities. Along these lines, the Indian hospitality industry gives way to heaps of levied taxes and scores of highly paid services. 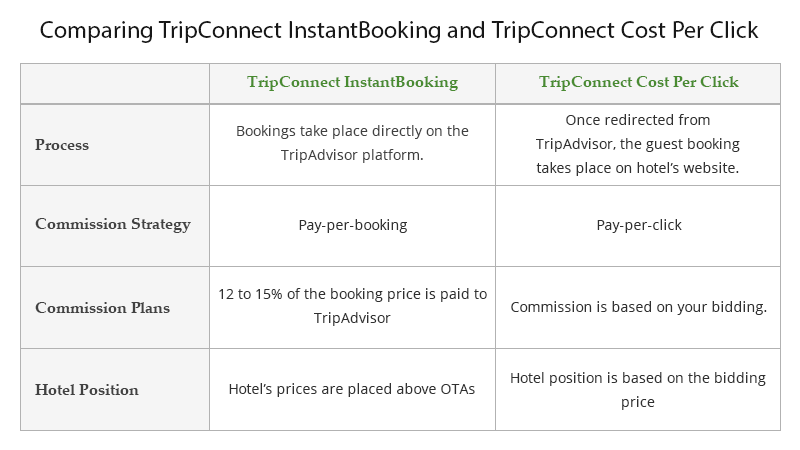 So, as India warms up for GST, the hospitality industry should get ready with GST compliant hotel software. The impact of GST will go far and wide, enabling everyone, right from a manufacturer and a supplier to distributor and consumer to give their part in improving the country’s economy. Here, we have carried out a complete impact analysis of GST on the Indian hospitality industry. 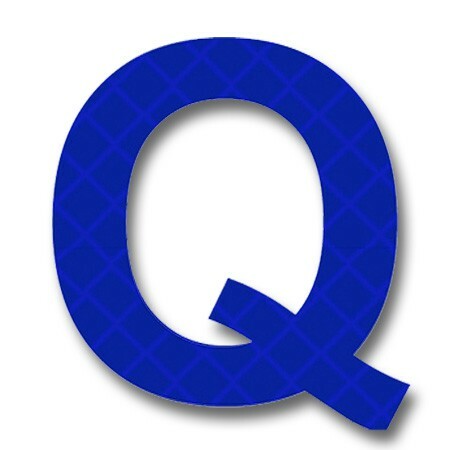 Read on to get a detailed overview. Taxes ensure that, whatever the government provides you for your progress, is duly paid back after a certain pre-calculated ROI, eventually generating income for upcoming projects. Whether it’s a direct tax, or an indirect tax, or just rolled out Goods & Service Tax; whether levied by the central or the state governments, taxes are a mandate which come along with anything you produce, manufacture, import, buy or sell regardless of the industry you may belong to. Taxes in India have been a surefire way to do that ever since the Constitution of India has allocated the power to levy taxes to the Central and State governments. 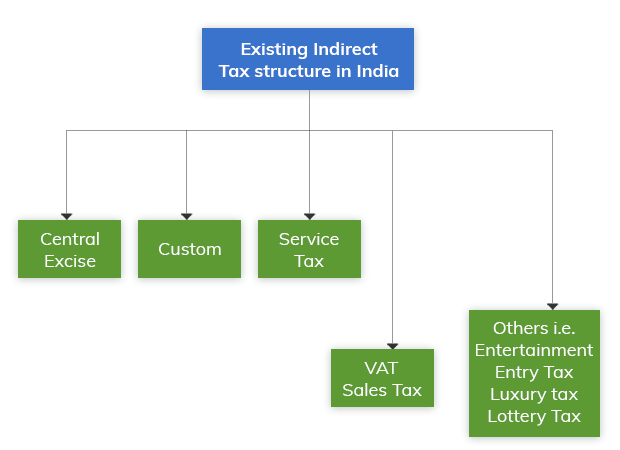 The current taxation scenario in India states two major and distinct types of tax regimes in India: Direct Tax and Indirect Tax, contrasting primarily in the way they are implemented. Direct taxes are those which you pay directly to the government, namely, income tax, wealth tax, corporate tax, property tax, including others. Whereas, indirect taxes are those which are not directly levied on the taxpayers, but rather levied on the goods and services you consume; such as, the value added tax (VAT), service tax, sales tax, excise duty, customs tax, and others. The indirect taxes are added to the price of the goods and services, leading to a higher amount being paid for them. According to the current indirect taxation scenario running in India; state government imposes VAT, luxury and entertainment tax, entry tax and taxes on betting and gambling; whereas the central government levies excise duty, service tax, customs duty and central state tax. This shows that, for goods produced or manufactured within the country and then consumed later on; VAT is computed on a value which includes excise duty. And with different government imposing them, the credit of VAT is not available against excise and vice versa. This indicates a cascading effect of taxes, that is, a currently functioning tax over tax regime. This leads to a high-cost and inefficient tax structure prone to revenue leakages. Thence, the need for a comprehensive indirect tax structure came up, giving way to Goods and Service Tax. So, a short while ago, the government of India passed the long overdue GST bill, taking the whole country in a wave of extracting the corresponding act and reforms. India will be now, one of the 160 countries worldwide, to have implemented GST in it’s economy. Similar to Canada, India will have a dual-GST model; wherein the tax will be administered by the central as well as state government, Brazil being the only other country to adopt a dual-GST model. For a sale within the state, SGST (State GST) and CGST (Central GST) will be applied. Whereas, for a sale outside the state, IGST (Integrated GST) will be levied. The CGST and IGST will be collected by the central government; and SGST by the state government. Along with this, the GST council has narrowed down on a 4-tier tax structure of 5, 12, 18 and 28 percent; such that 12 and 18 percent will accommodate most of the goods and services. Impact Analysis Of GST – What does it bring for Indian Hospitality Industry? In the current indirect tax regime, the hospitality industry is plagued by multiple taxes of service tax, VAT and luxury tax; eventually being a victim of tax over tax. The GST with rate dependent on annual turnover of the hotels and restaurants along with the tariff they impose and services they provide will subsume all of these taxes and bring them under one single entity. Moreover, it will help reduce multiple taxation, giving a significant boost to the hospitality and tourism industry. Presently, the centrally administered service tax is levied at 9 percent in the hotel industry and 6 percent in the food & beverage sector. Besides that, the luxury tax and VAT are state-dependent. Therefore, the effect of GST will be liable to the location of your property as well as the annual turnover of your property. Supply of food and drinks, banqueting and outdoor catering will fall under a GST of 18 percent rate, including alcohol, food and other supplies as a bundled service. The major impact of GST will fall on banqueting, wherein the effective tax comes up to ~23-35 percent, following the luxury tax applied by selected state governments. The GST of 18 percent will thus lead to banquets becoming reasonable consequently offering a huge haul to the hospitality industry. In a nutshell, the GST is going to have a neutral impact on the indian hospitality industry for the most part, except the banqueting services, luxury hotels and restaurants. Hospitality industry has always been a competitive and an ever progressing one. Because of it’s widespread exposure across the world, technology becomes an unavoidable and pivotal factor to maintain it’s reliability and newness. That’s why, when one talks about recently introduced tax reforms, government rules and regulations for this industry; a major part of it is taken by hospitality software. 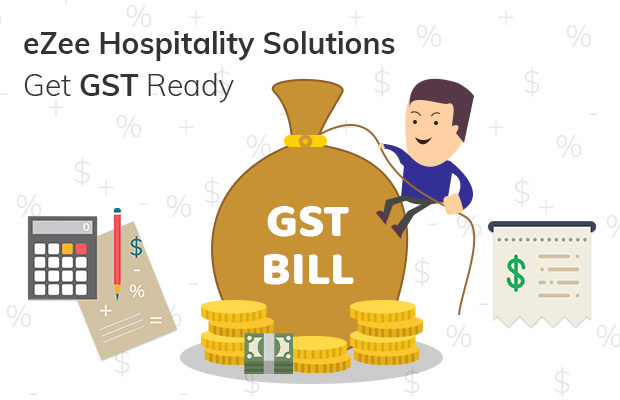 As the GST has hit the sub-continent with a wave of brand-new tax regime, it is substantial for all hoteliers and restaurateurs to go for GST compliant hotel software. 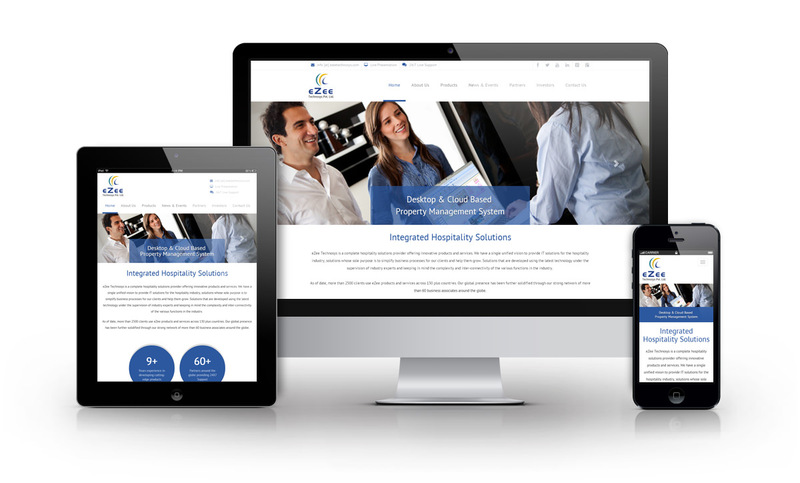 eZee Technosys, being one of the very few companies to offer a complete package of integrated hospitality solutions; has always been up-to-date with any technological or economical trends of the industry. And it efficiently manages to keep it’s users in pace with contemporary updates. Be it regional or worldwide, eZee has proved itself as a pioneer in the industry. Following a successful customization of our solutions as per GST compliance for our users in Malaysia, we have developed our solutions as GST ready hotel software for India. 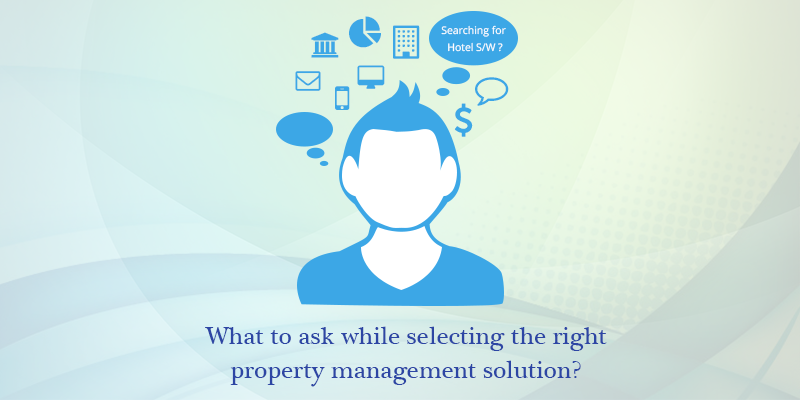 Considering the demands of GST norms, billing and tax calculation for hoteliers and restaurateurs in India, eZee solutions will let you manage your property efficiently and impart exceptional services to your guests through accurate tax calculation, GST-compliant invoice and receipt generation, submission of multiple GST returns on a timely basis and more. 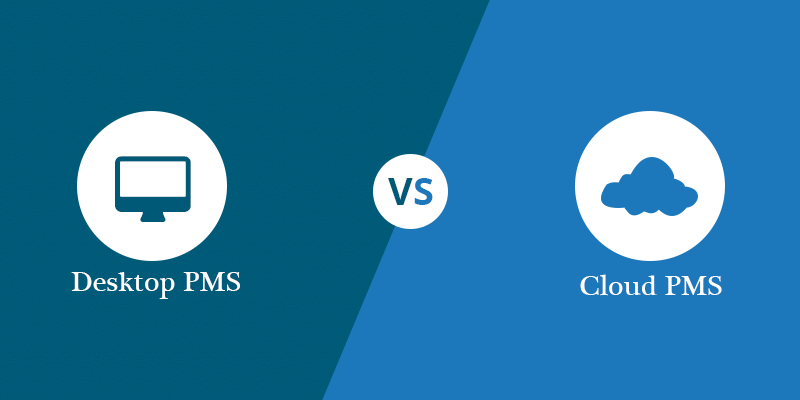 Our cloud PMS, on-premise PMS and restaurant POS software are now GST compliant, ready to accommodate your GST requirements. 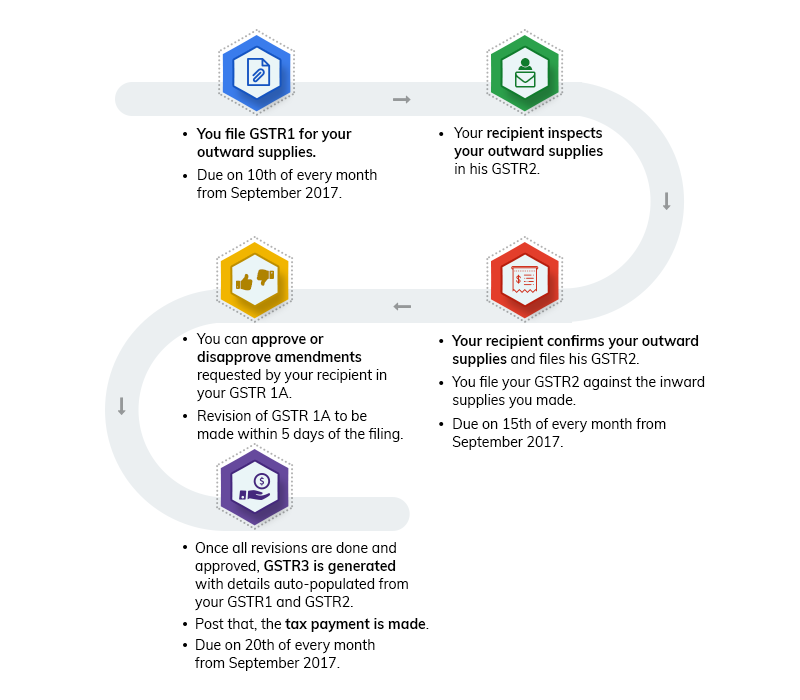 Sign up for our GST ready software right now. Suffice to say, it’s a known fact that taxes play a vital role in the growing economy of any country, giving way to a streamlined and well-maintained growth structure. *Note: This information is subject to the tax reforms employed by the Government of India. 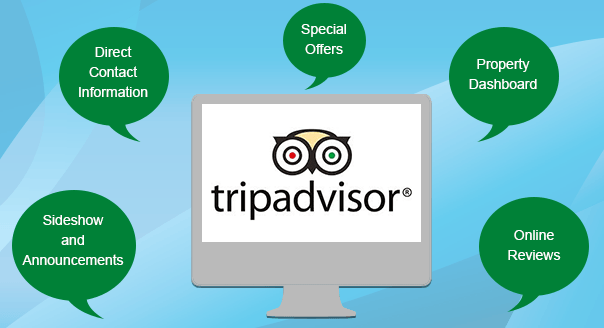 Traditionally, the hotel software came with features that covered basic hotel operations. 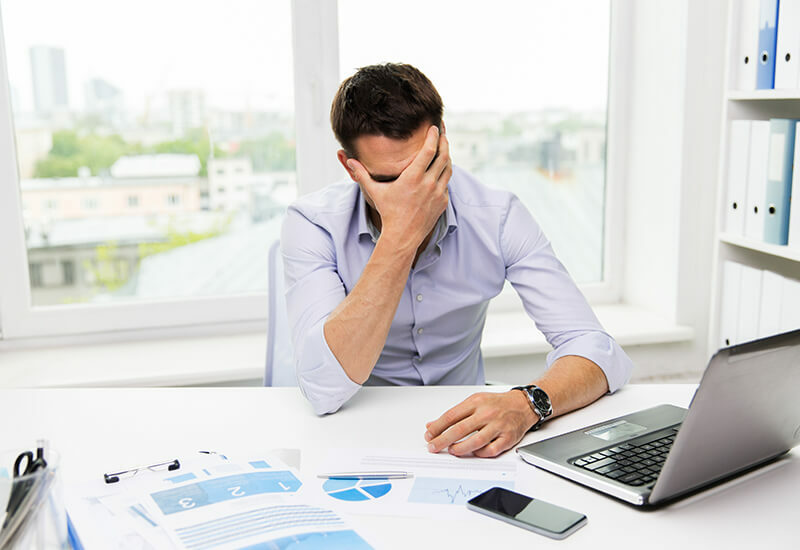 Today, choosing the right solution for your hotel is more complex than it has ever been as the processes have become more complex. 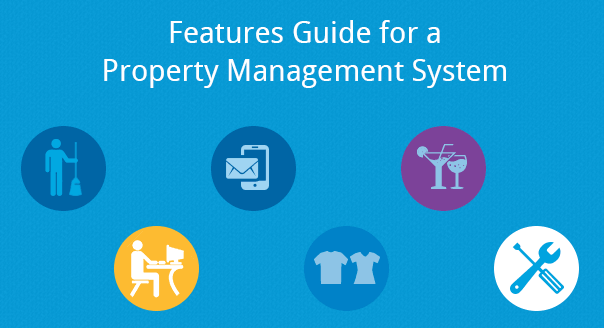 At the final stage, a good Property Management System should provide solid features that satisfy the requisites of the hotel and should be easy to adjust and carry out. Another key factor is the software provider, the provider should possess the industry expertise and experience and provide high quality post-sales support.